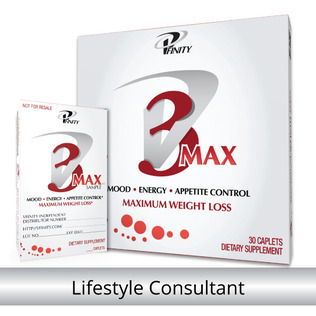 You can quickly order V3 MAX or any other Vfinity product right here. Each box of V3 Max is $64.95 plus shipping and comes with a 30-day money back guarantee. The checkout is secure and your order will be processed within one business day. Chose any of the following methods of payment - Visa, MasterCard, American Express, Discover, Hyperwallet or ACH. ​​Go directly to the checkout page by clicking the "Buy NOW" button below. Can I Buy Vfinity Products at a lower price? Yes! There are two ways to buy V3 MAX or any other Vfinity product at a lower price. The first way is to become a Preferred Customer. As Preferred Customer you simply enter into an auto-ship agreement with Vfinity to have your Vfinity product(s) shipped and billed automatically at the discounted price. You may cancel your auto-ship at any time. Sign up for Preferred Customer pricing at checkout. The second way is by becoming A Vfinity Lifestyle Consultant. Whether you want to start a full or part-time business out of your home or you simply want to get the absolute best price on Vfinity products for your own personal use, you can join for as low as $25 which pays your website fee for a full year. You can buy product at any time as there is no auto ship required. View the Vfinity Compensation Plan and then simply join our team right now by clicking the "Join NOW" button below. If you've been thinking about starting a business from home, your looking in the right spot. Vfinity, a health and wellness company has recently been discovered by Forbes Riley. ​​Forbes, who is fiercely committed to health and fitness has discovered the Vfinity products and has fallen in love with them. So much that they will appear on her TV show - FORBES LIVING. The producers of Forbes Living are excited to announce that Vfinity will be featured in upcoming segments as part of their "Weight Management" series. The show is hosted by Forbes herself, an award-winning TV host in the D2C industry, author, entrepreneur, mother, and one of the nation’s leading health and wellness experts. Forbes Riley is fiercely committed to health and fitness. The Forbes Living talk show combines the most highly recognized product spokeswoman with new and innovative products designed to engage viewers in a fun, informative, and entertaining fashion. Watch out for upcoming broadcasts nationally on WE tv (Women’s Entertainment ©™), Discovery Channel Transponder®™, Lifetime Real Women™, Esquire Network™, and DIY Network Canada. The talk show will also air regionally on ABC, FOX, and ION broadcast affiliates. ​​ARE YOU READY TO ACHIEVE SUCCESS!! We all know the power of talk show celebrities, after all look what Dr. OZ has done for Garcinia Cambogia. Once these products air on NATIONAL TV, their sales skyrocket! That is why you are in the right place at the right time. You can secure your spot with the company for as little as $24.95. That's right just $24.95 and you are a Lifestyle Consultant with the company! I believe that is the BEST $24.95 you will invest this year. Better yet, you can get started with product in hand and ready to make a profit with just a $249.95 investment. ​take advantage of the best pricing on Vfinity products!